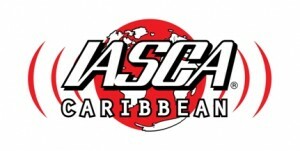 Caribbean | IASCA Worldwide, Inc.
IASCA Caribbean has been involved with IASCA’s mission for over 10 years now. With the main office based on the island of Trinidad/Tobago, it’s headed by the island’s top Sound Quality competitor, Shazad Rahaman. IASCA Caribbean has some of the world’s best Sound Quality competitors and a strong contingent of IdBL competitors as well. IASCA Caribbean covers the area’s numerous islands, including Trinidad, Tobago, Grenada, St.-Vincent, Barbados, St.-Lucia, Martinique, Dominica, Guadeloupe, Montserrat, Antigua and St.-Kitts. This affiliate is best known for its “Crowd Pleaser” SPL format where spectators choose the winner, competitors play their system for the crowd and put on a show.